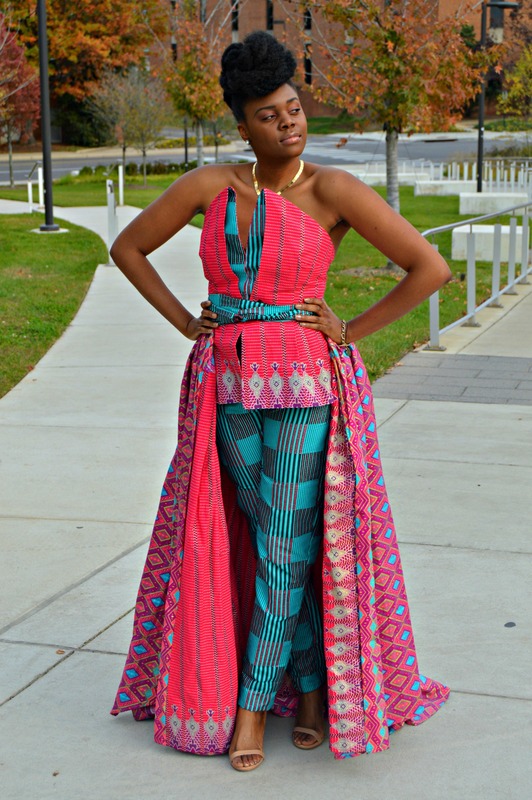 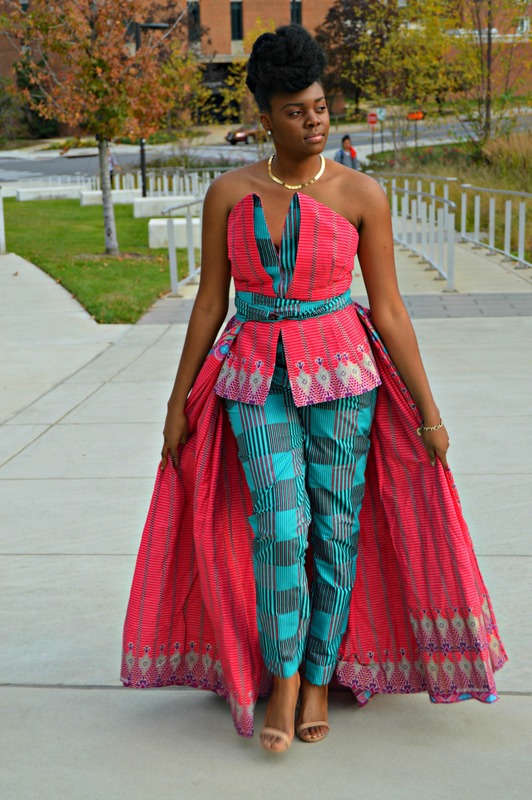 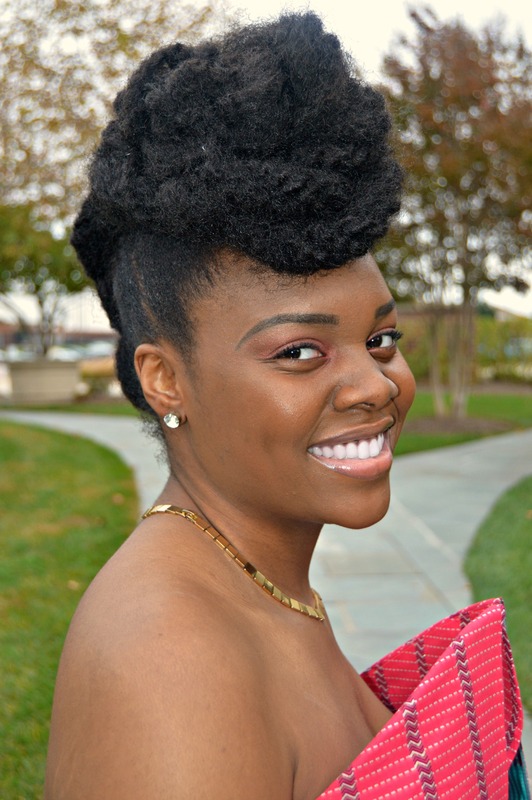 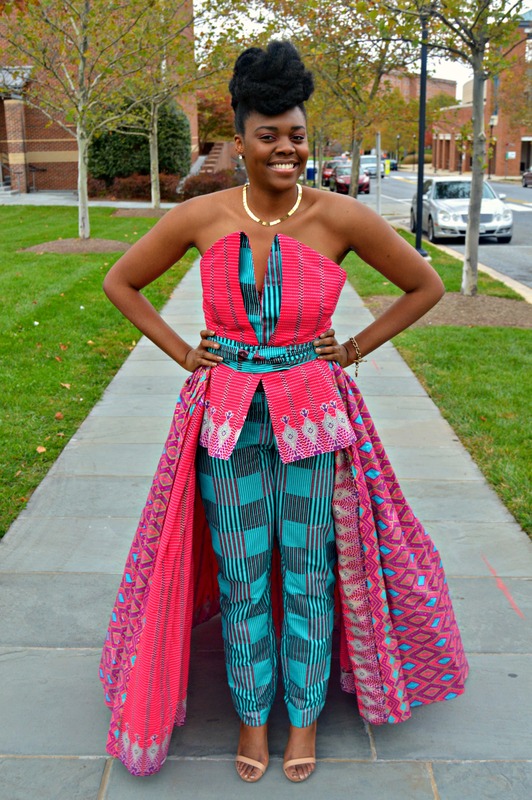 My Ankara print pants ball gown for my 24th birthday and All Things Ankara Ball 2015. 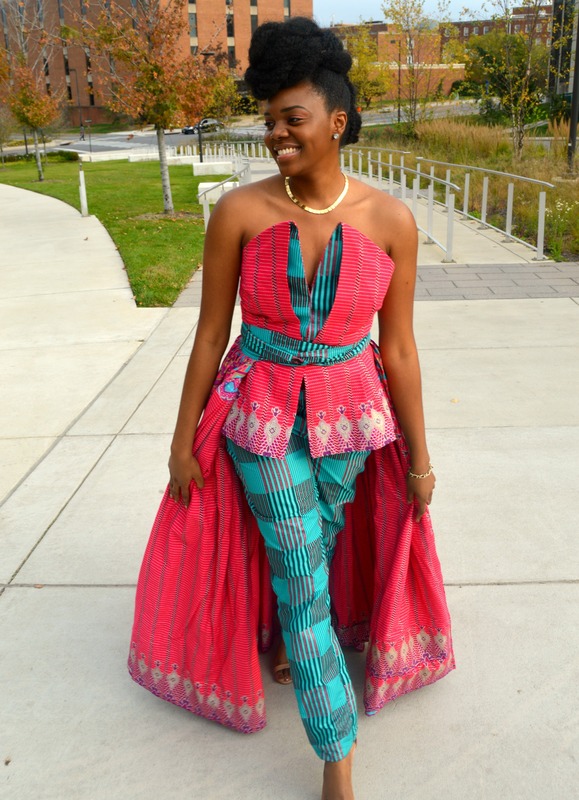 I am proud to say that All Things Ankara Ball 2015 was a huge success. 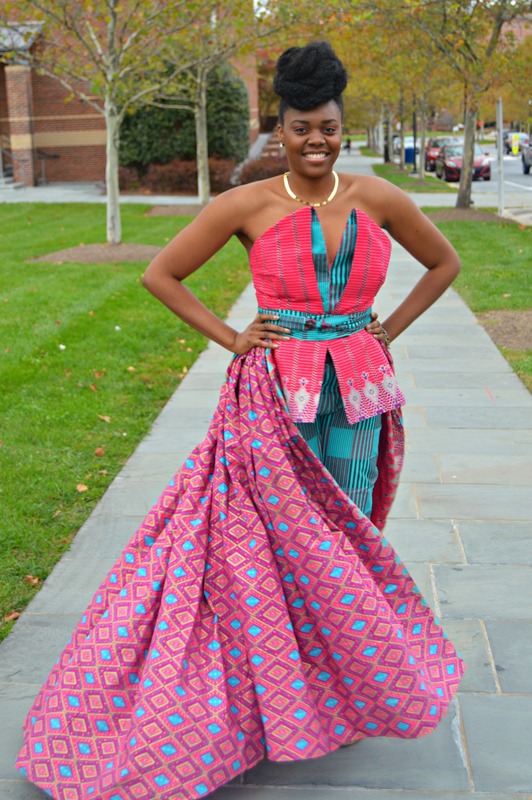 With the All Things Ankara Ball 2015 Campaign Photos breaking the internet and with it being one of the most anticipated events of the year, I had to make sure my outfit was on point. 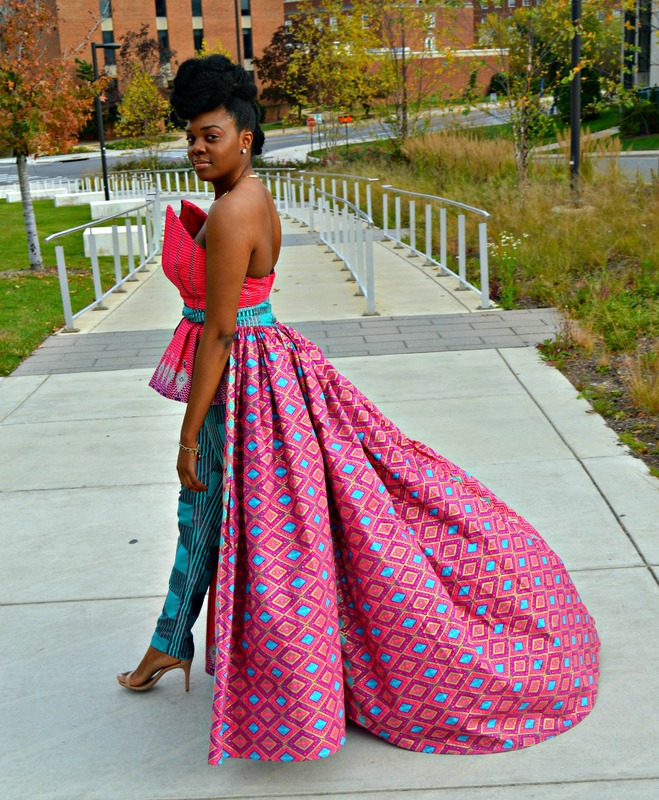 My ball gown was designed by yours truly. 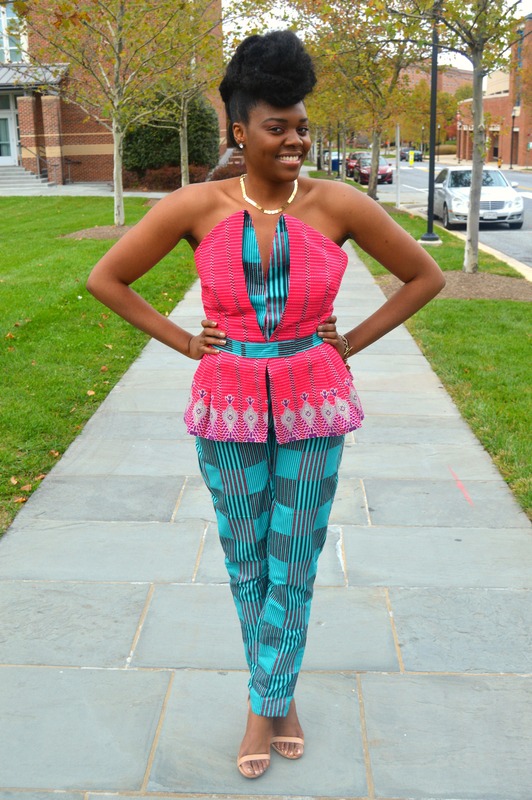 It features three luxurious ankara print fabrics. 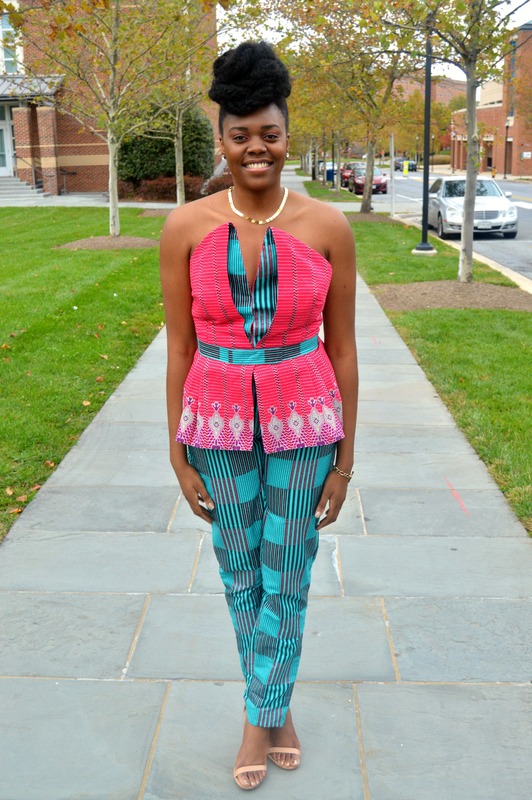 Mixing Ankara Print fabrics in my outfits is my thing. 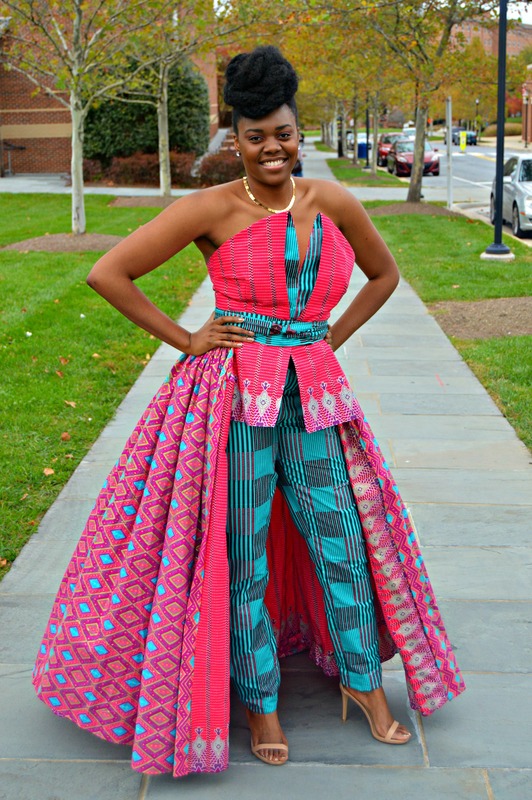 This is not your typical ball gown. 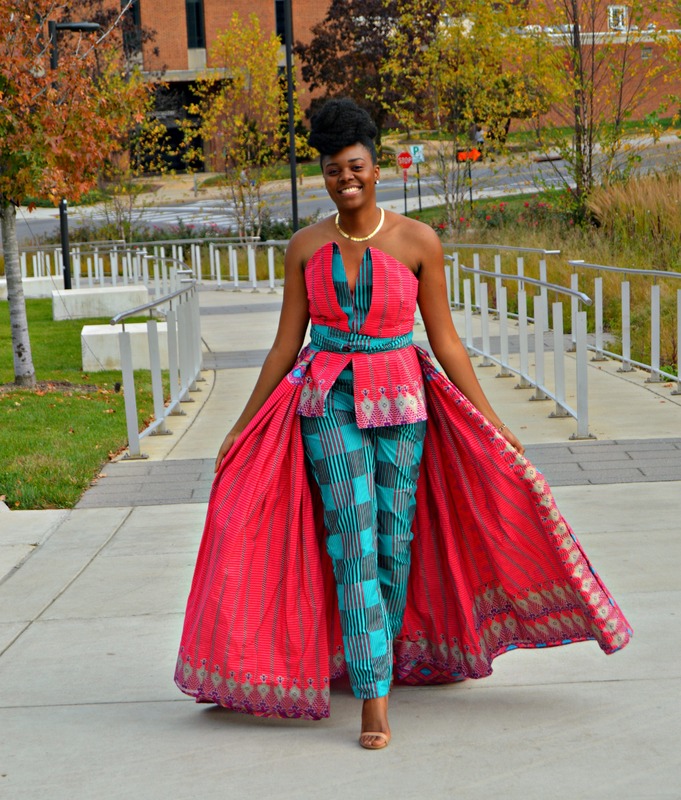 It is so unique and colorful. 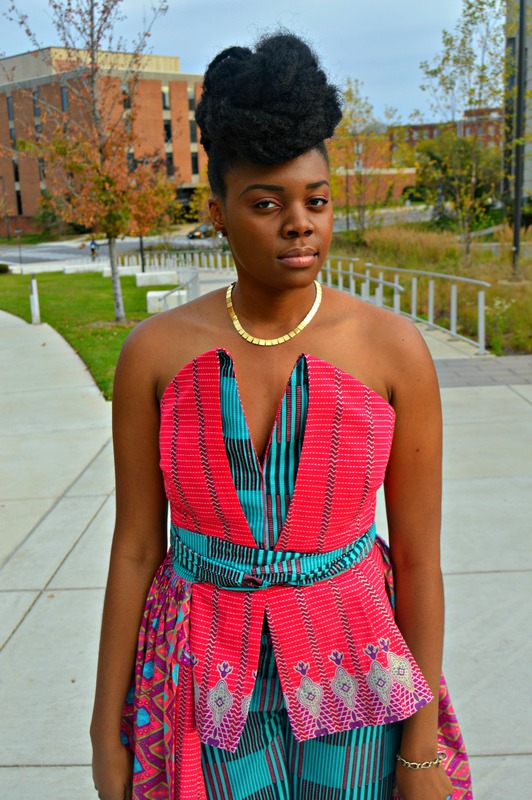 My gown was made in three separate pieces. 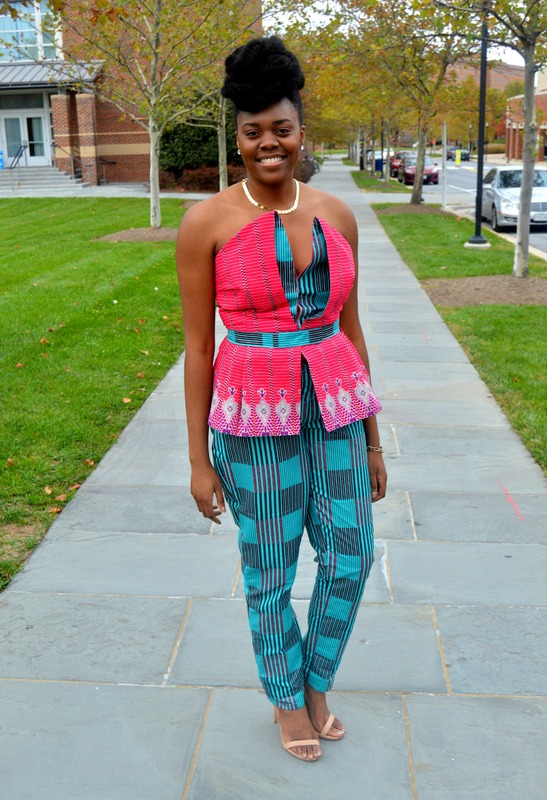 I removed the removable skirt and bam, another outfit was created. 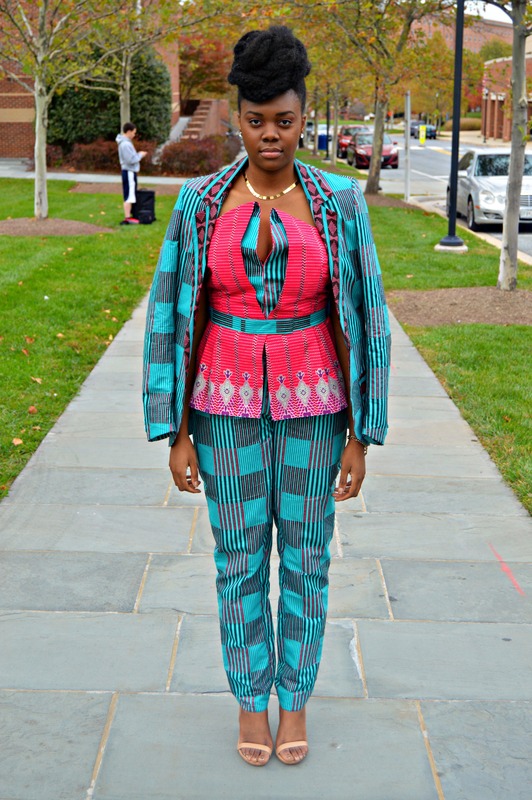 I threw on my brothers blazer from the ball and created a pant suit.